Austria’s Laudamotion plans to double Airbus fleet from nine to 18 aircraft next year. Credit: Ⓒ Ryanair DAC. Austria-based budget airline Laudamotion is set to double the size of its existing Airbus fleet from nine aircraft to 18 next year, after Ryanair completed the acquisition of a 75% share in the airline this month. 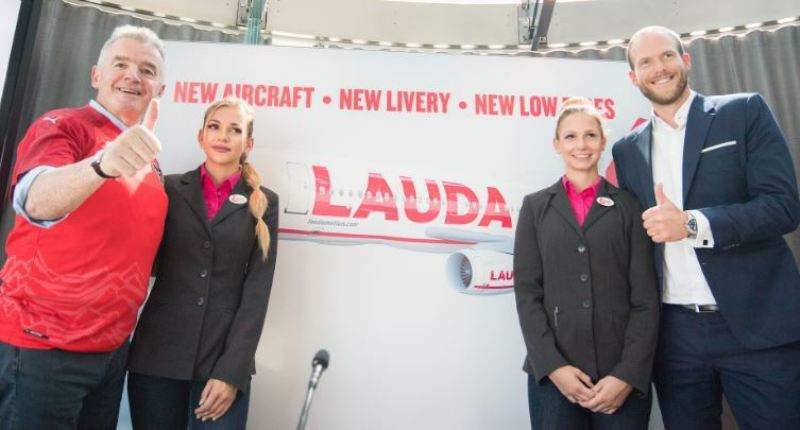 In order to promote growth, Laudamotion is expected to implement a number of initiatives including the addition of a new aircraft livery to reflect its Austrian heritage, and establish new offices in the capital city of Vienna to accommodate additional staff. The company will also appoint Christian Euler Rolle as personnel director from 1 September. Laudamotion CEO Andreas Gruber said: “Laudamotion now faces the future with great confidence, backed by the enormous financial strength of Ryanair, our new majority shareholder and Europe’s largest airline. “Laudamotion has already achieved load factors over 90% in its first summer season, thanks to the efforts of over 500 Laudamotion colleagues. The company also revealed plans to roll out more low fare flights for customers based in Austria and Germany. Ryanair’s newly completed acquisition is based on an agreement reached in March this year. Under the deal, Ryanair paid €50m to buy a 75% stake in Laudamotion, but will provide an additional €50m for start-up and operating costs in the first year.